"The Legend of Zelda: Breath of the Wild" Master Edition comes with model Master Sword! “The Legend of Zelda: Breath of the Wild” Master Edition comes with model Master Sword! If you’re a gamer anywhere near the internet, you’ve been blown away by the new trailer for The Legend of Zelda: Breath of the Wild trailer from Nintendo’s Switch Event. 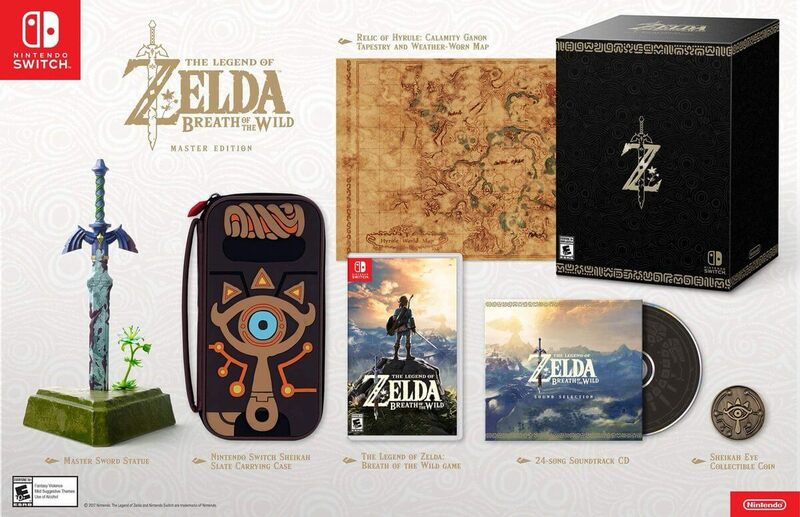 The special edition will include the game itself, a Master Sword of Resurrection figure, as well as a Nintendo Switch Sheikah Slate Carrying Case, a Sheikah Eye Collectible Coin, a Relic of Hyrule: Calamity Ganon Tapestry and Weather-Worn Map, and a Breath of the Wild Sound Selection CD. The Master Edition will cost $129.99. Holy cow! I just preordered mine this morning — godspeed to the rest of you! It will be available on March 3rd, along with the launch of the Nintendo Switch console itself. Stick with ITM for all things fun and awesome!